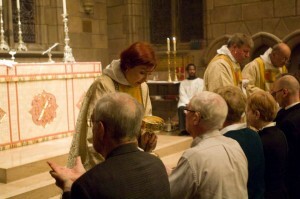 Mother Erika Takacs, distributing the Sacrament at our 2013 Conference. pledge to provide mutual support and encouragement among the Church’s clergy. attend all meetings of their local Chapter unless prevented by good reason.